Reconstruction of infrastructure designed for traffic demands of the mid-1960s will help sustain the remarkable growth of the Philadelphia suburbs. Growth has transformed King of Prussia and Pottstown—two Philadelphia suburbs— into some of the largest economic centers in Pennsylvania and the Mid-Atlantic region. US Route 422 and the bridge at Valley Forge over the Schuylkill River links these suburbs to Philadelphia. Severe congestion on the expressway and bridge, which was designed for the traffic of the mid-1960s, led PennDOT to complete a major reconstruction. The project is one of the "US 422 River Crossing Complex Projects," which are geared to improve multi-modal travel and reduce congestion along US 422 between the PA Route 23 and PA Route 363 interchanges. 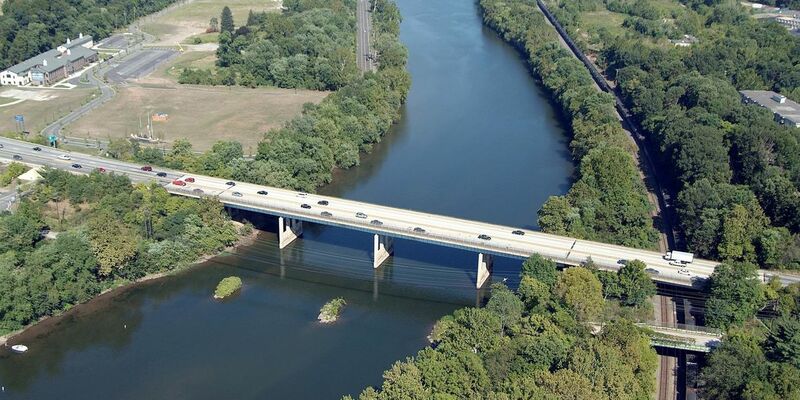 This roughly $110 million effort, located in Upper Merion, West Norriton, and Lower Providence townships in Montgomery County, focused on replacement of four bridges, including crossings over the Schuylkill River. It also included construction of widened and reconstructed shoulders, new interchanges with PA 23 and PA 363 adjacent to Valley Forge National Historical Park, and a flyover ramp connecting US 422 with Valley Forge Road. Urban provided environmental studies, preliminary engineering, final design, and construction consultation for the project. The new, 785-foot-long, 5-span bridge over the Schuylkill offers eight lanes — double the lanes on the original structure. It features combination wall and tulip-shaped column piers and spans Norfolk Southern Railroad and the Upper Merrion Trail. To complete the interchange improvements, a 2,400-foot-long section of North Gulph Road, which crosses under US 422 and then runs parallel to the highway, will be shifted about 400-feet closer to US 422. The new connections to the local road network and increased capacity will support future growth and development in the Philadelphia region.